More on the Walker Edison Solid Wood Twin Size Bunk Bed (Honey) BWSTOTHY below. 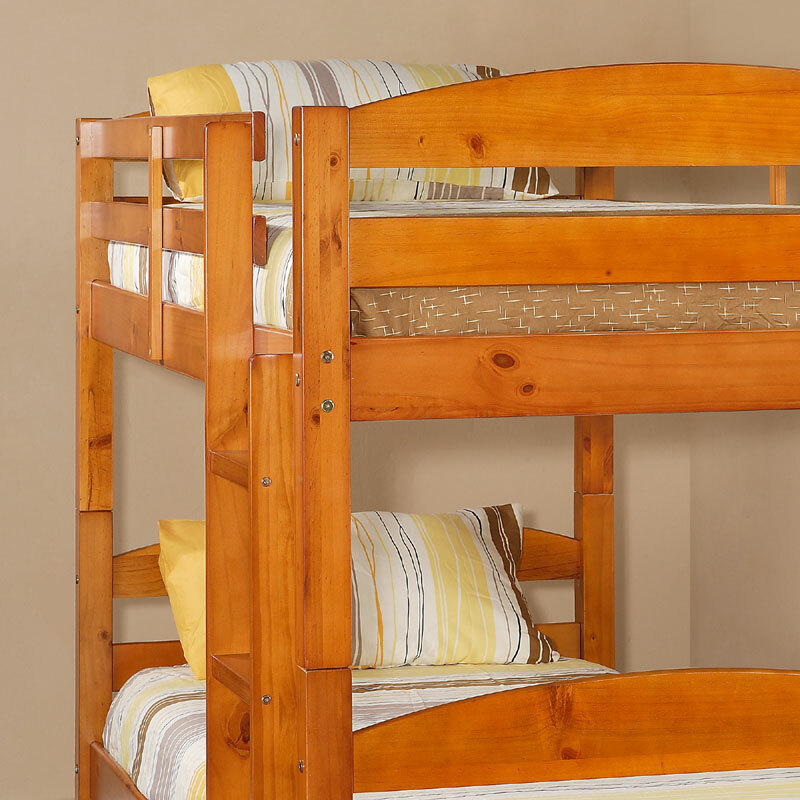 Crafted from beautiful solid wood, this contemporary bunk bed is functional, sturdy and exceptionally stylish. 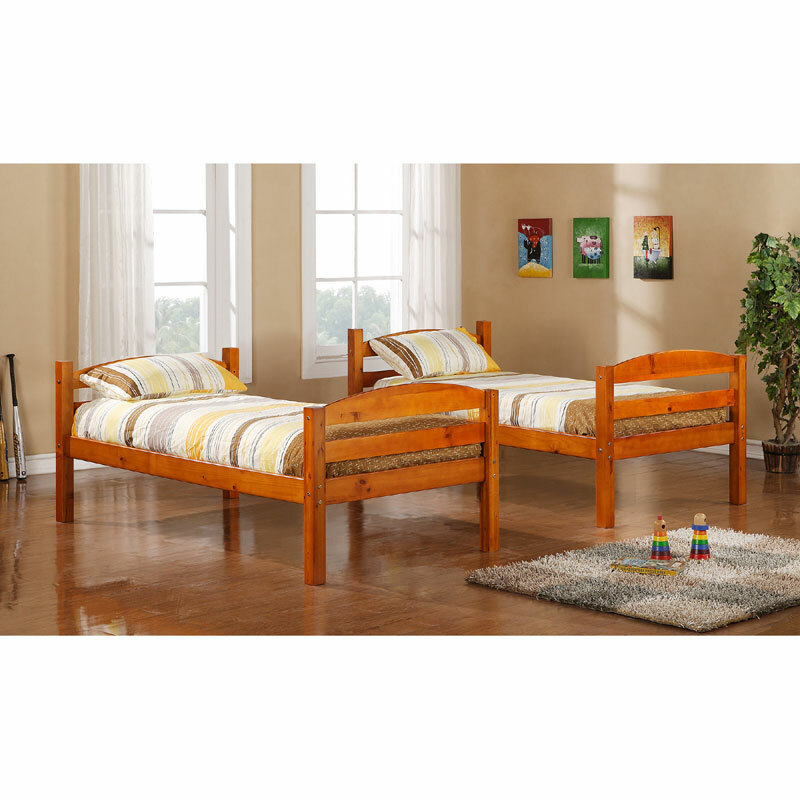 This bed was designed with safety in mind having full length guardrails and an integrated ladder. A great solution for any space-saving design need. 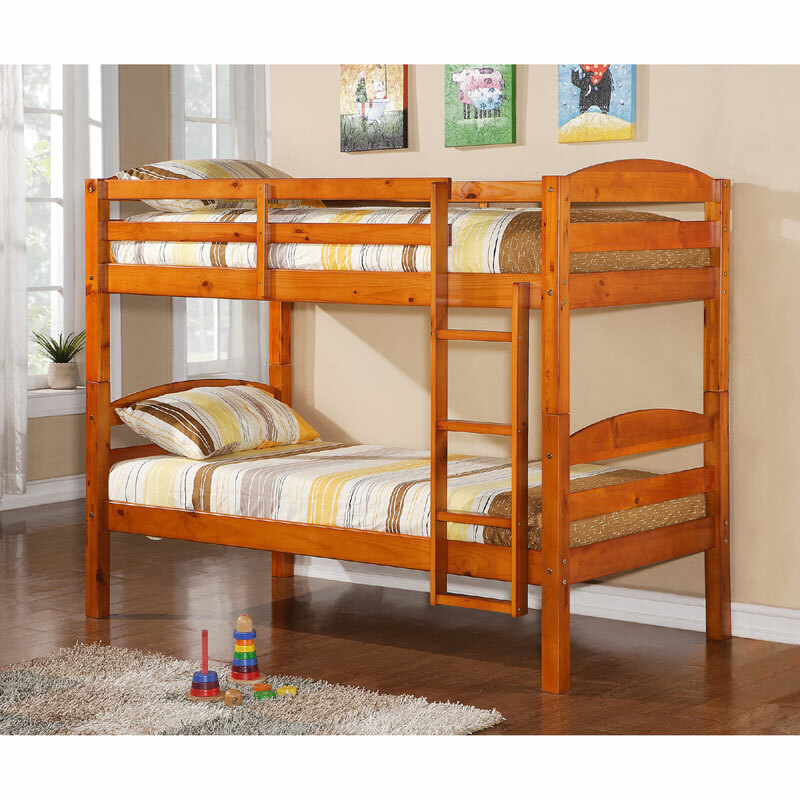 Also, unlike other bunk beds this bed converts easily into two individual twin beds. 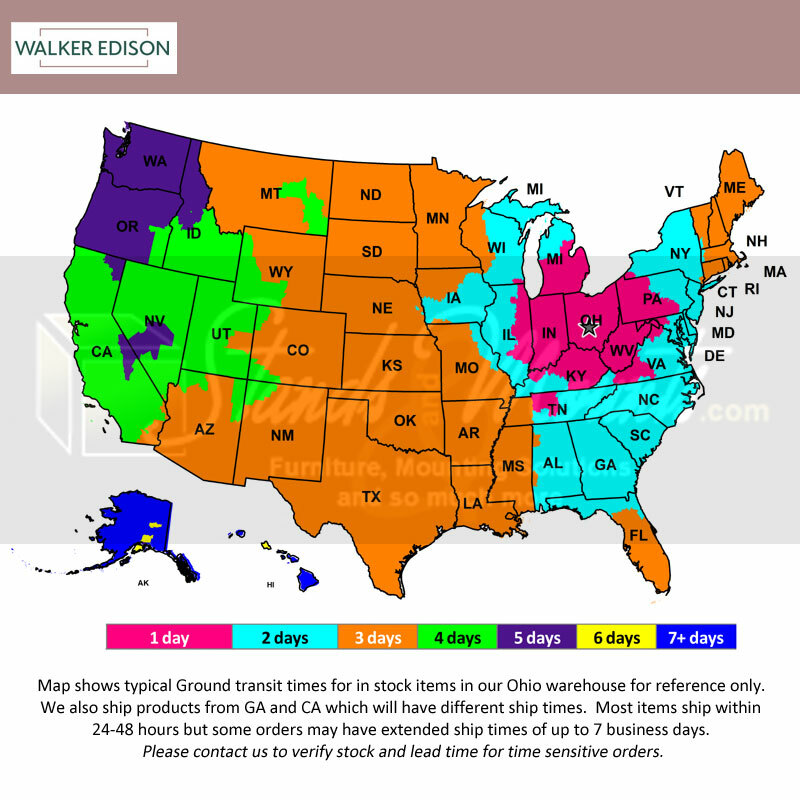 Maximum recommended upper mattress thickness of 9 in. 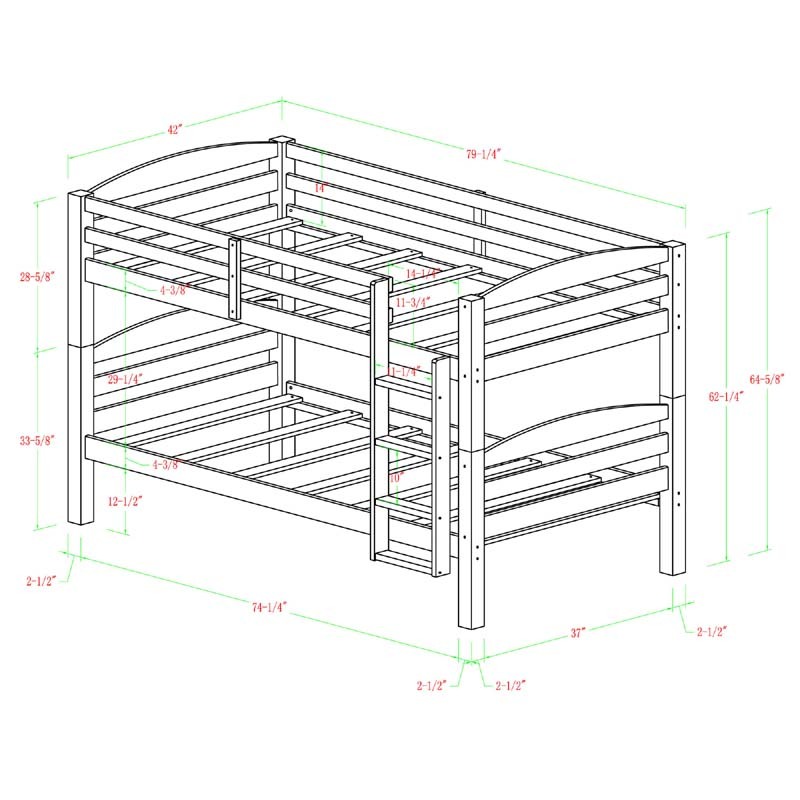 Each bunk will hold up to 250 lbs. This product is also available in Natural or White finish. See related products below.